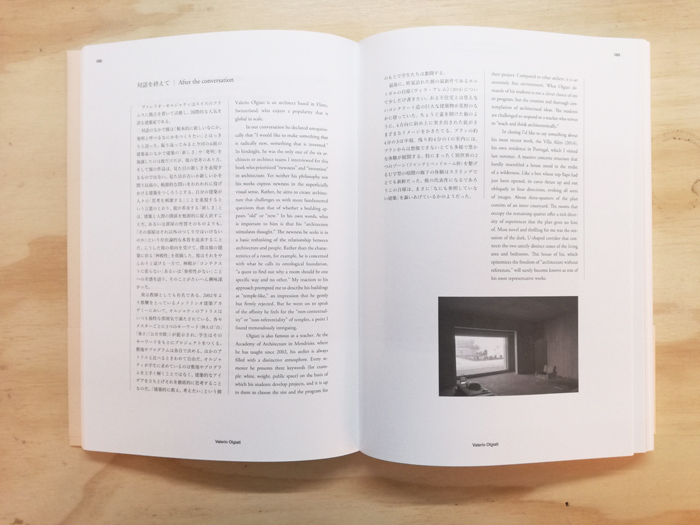 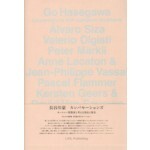 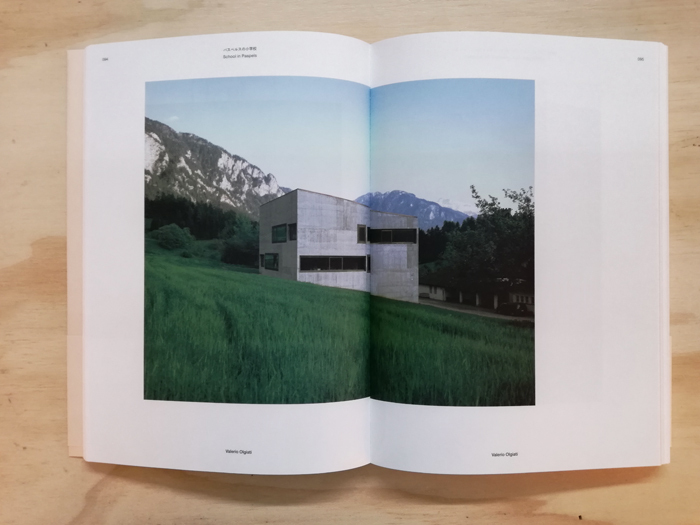 In this book 'Conversations with European Architects' Japanese architect Go Hasegawa engages some of today’s most relevant European architects in a series of conversations that touch upon the current and topical issues at play in architecture on the continent and globally. 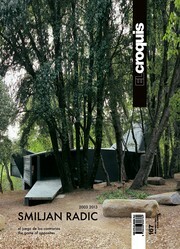 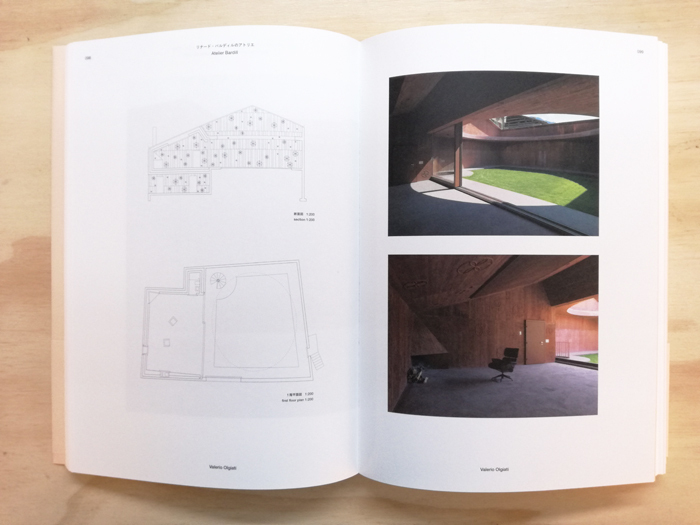 From asking Peter Märkli about the sense of history in his works, or illuminating the methods of economy used by Lacaton & Vassal, to discussing multiplicity in architecture with Álvaro Siza, the book brims with insightful questions and answers from the field’s leading practitioners. 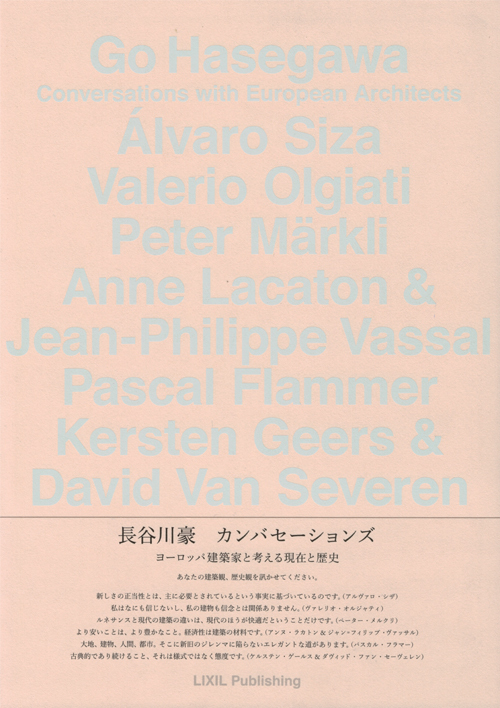 Featuring interviews with Álvaro Siza, Valerio Olgiati, Peter Märkli, Anne Lacaton and Jean-Philippe Vassal, Pascal Flammer, and Kersten Geers and David Van Severen.